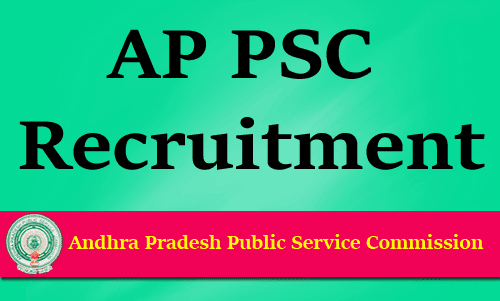 Andhra Pradesh Public Service Commission has released the APPSC Group 1 Notification 2019 by this notification Commission has released 169 vacancies for the Group I Posts. In order to apply for the said vacancies aspirants have to fill an online application form. The application form will be available at the official website from 05 February 2019 and the last date to submit an application form/registration is 26 February 2019. It is compulsory for the aspirants to satisfy the eligibility terms for the post for which you are going to apply. For your convenience, we have provided the complete eligibility norm and other essential conditions on this page. In addition, we have also stated some simple guidelines which help you in filling the application form for APPSC Group 1 Recruitment 2019. Applicants must hold a graduation or post graduation degree as per the post requirement. Step 2: Now hit on “To visit the Commission's website - Click here” link. Step 3: On the next page press the “Group- I Services - Notification No.27/2018 - (Published on - 31/12/2018) - Click Here” link. Step 4: APPSC Group 1 Notification 2019 will be available in front of you read the details. Step 5: Now hit on “Apply Online” link and fill the application form in the prescribed format. Step 7: Submit the form and note down the registration ID and password for further use.